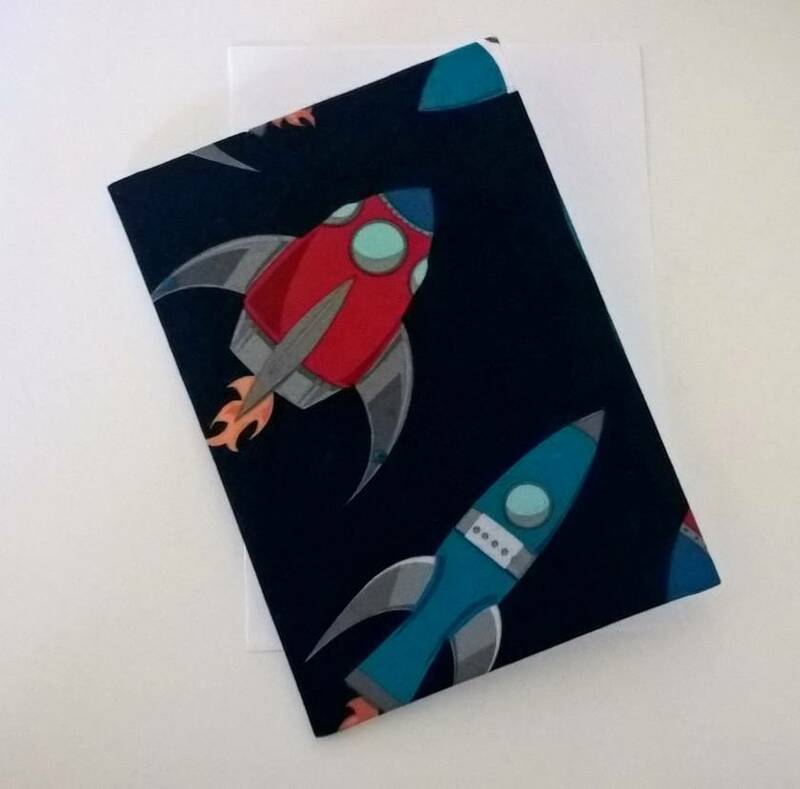 Fabulous fabric covered greeting card. 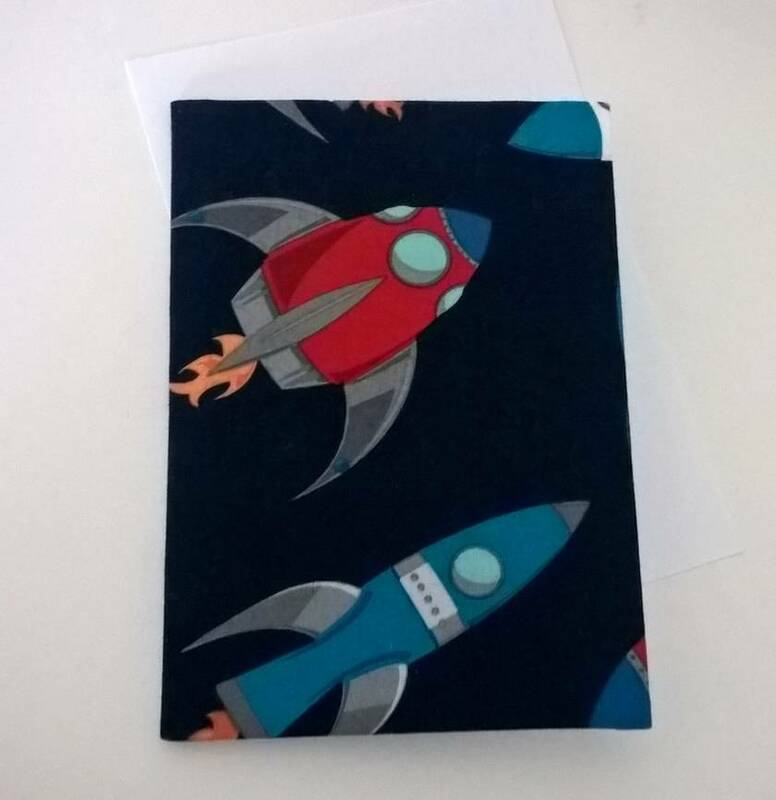 Fabric features multi coloured rockets on a navy blue background. Perfect for a boy's birthday or the astronaut in your life. Card is blank and comes with a white envelope in a sealed cellophane bag. Contact jogibb to enquire about payment or shipping options. Surprise someone special - send them a card with a hand written message.